Miss Universe Singapore 2016 Cheryl Chou, walks to the fashion show in Vigan,Philippines. Miss Universe Slovak Republic 2016 Zuzana Kollrov, walks to the fashion show in Vigan, Philippines. Miss Universe Uruguay 2016 Magdalena Cohendet, walks to the fashion show in Vigan,Philippines. Miss Universe Belgium 2016 Stephanie Geldof, during a cultural fashion show in Vigan, Philippines. Miss Universe Philippines 2016 Maxine Medina, during a cultural fashion show in Vigan, Philippines. Miss Universe Nicaragua 2016 Marina Jacoby, walks to the fashion show in Vigan,Philippines. Miss Universe Venezuela 2016 Mariam Habach, walks to the fashion show in Vigan,Philippines. Miss Universe Venezuela 2016 Mariam Habach, during a cultural fashion show in Vigan, Philippines. 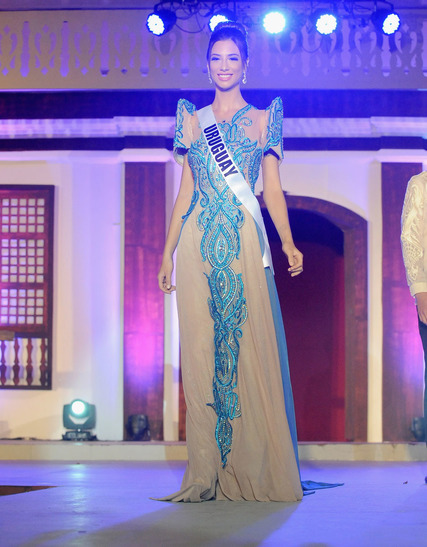 Miss Universe Bulgaria 2016 Violina Ancheva, during a cultural fashion show in Vigan, Philippines. <> on January 15, 2017 in Manila, Philippines. Miss Universe Sierra Leone 2016 Hawa Kamara, walks to the fashion show in Vigan,Philippines. Miss Universe Thailand 2016 Chalita Suansane, walks to the fashion show in Vigan,Philippines. Miss USA 2016 Deshauna Barber, walks to the fashion show in Vigan,Philippines. Miss Universe Great Britain 2016 Jaime-Lee Faulkner, walks during a cultural fashion show in Vigan, Philippines. 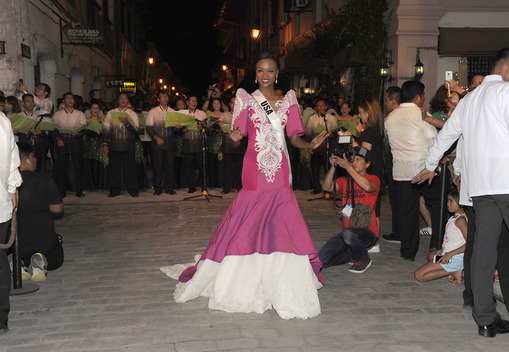 Miss Universe Cayman Islands 2016 Monyque Brooks, during a cultural fashion show in Vigan, Philippines. Miss Universe Netherlands 2016 Zoey Ivory, walks during a cultural fashion show in Vigan, Philippines. Miss Universe U.S. Virgin Islands 2016 Carolyn Carter, during a cultural fashion show in Vigan, Philippines. Miss Universe Malaysia 2016 Kiran Jassal, walks during a cultural fashion show in Vigan, Philippines. Miss Universe Czech Republic 2016 Andrea Bezdekova, during a cultural fashion show in Vigan, Philippines.